Another Epic DrupalCorn Camp is Done! If you attended the 2015 DrupalCorn Camp, thanks! And don't forget to fill out your evaluation. We really want to know what you thought of the camp. Next year, join us for DrupalCorn Camp in Iowa City! See you there! Read more about Another Epic DrupalCorn Camp is Done! 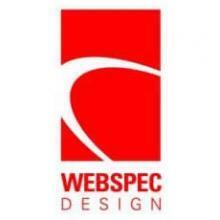 What are some of the services Webspec offers? Webspec offers custom responsive website design and development, search engine optimization (SEO) services, software development, and digital marketing to our clients. Read more about Time to Register! Read more about Check out the accepted sessions! A big thank you to everyone who proposed a session! Check out all of the great proposed sessions and register for one of our full-day training sessions! Read more about Submit your session proposals!